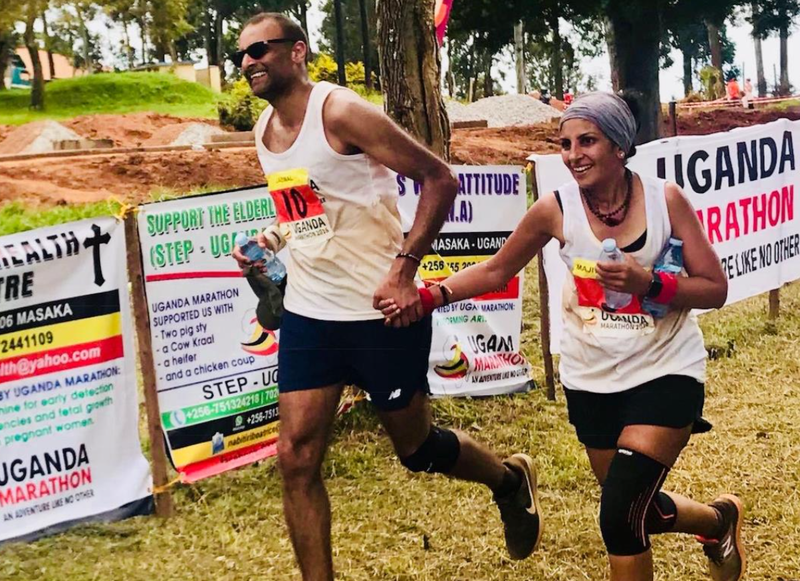 Following their participating in the seven-day Uganda Marathon adventure, Ash and Sejal kindly agreed to share their experience of Uganda with us. 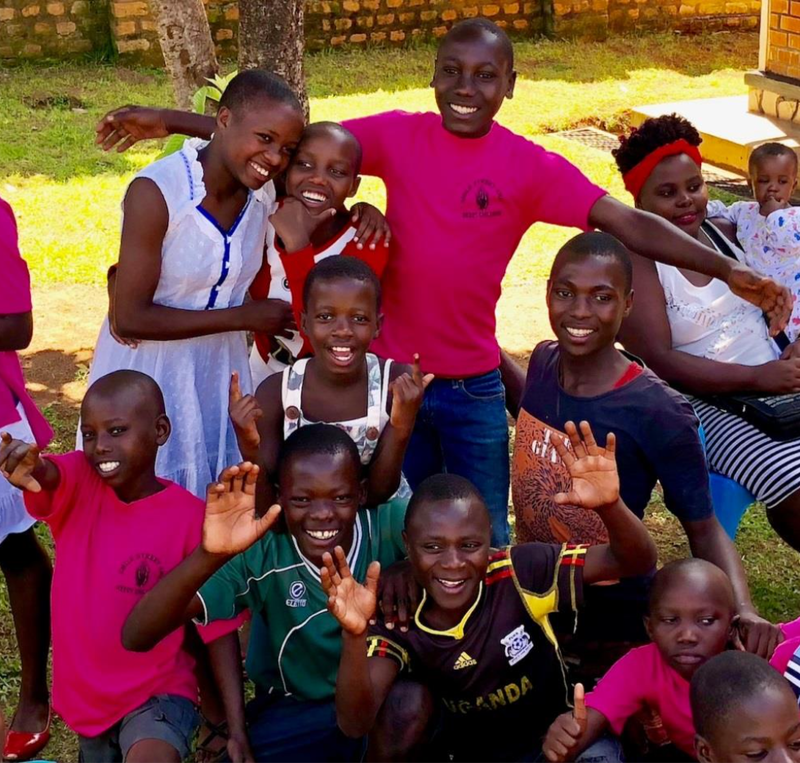 Below, they tell us about the volunteer days, visiting the project they fundraised for, the race, and what they got up to in Uganda both before and after the event – which includes a truly special story! 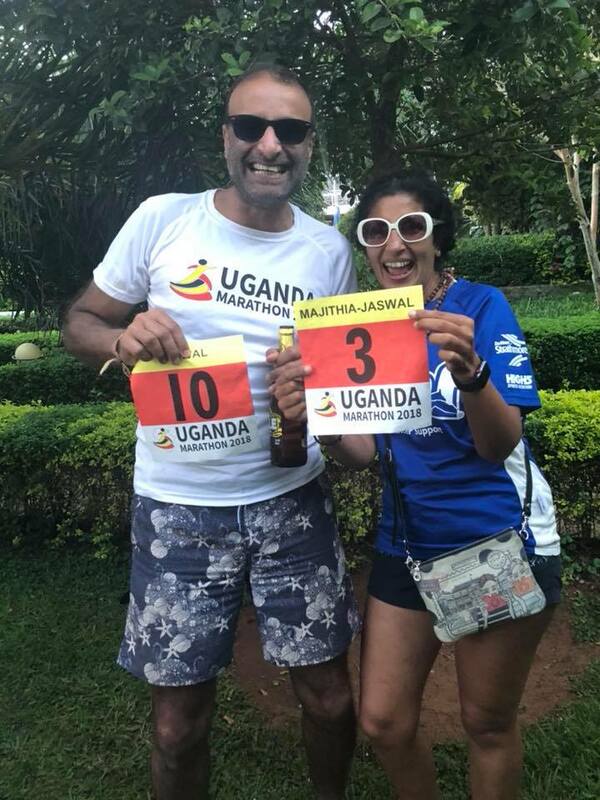 It’s been a few months since we – Ash and Sejal – completed the Uganda Marathon 2018, and so wanted to share our amazing experience of it. As well as this write-up, you can watch a video of our trip here. We’ve been very fortunate to have travelled widely over the years, but this year, to celebrate a landmark birthday, Sejal wanted to do something very special, somewhere very special. When we heard about the Uganda Marathon, we knew this was it. She, along with her entire extended family had been born in Uganda, her grandparents having settled in this ‘Garden of Eden’ from India in 1917. However, as part of the ‘Asian expulsions’ carried out in 1972 on the orders of the then dictator, Idi Amin, Sejal and her family, alongside around 70,000 other Asians, were forced to leave the country on 90 days’ notice with literally just the clothes on their backs. The vast majority of the Asian community never returned, including Sejal, so this trip was something of an emotional homecoming for her. In fact, on day two of our trip, in the middle of nowhere, we found the small missionary clinic where her mother had given birth to her! 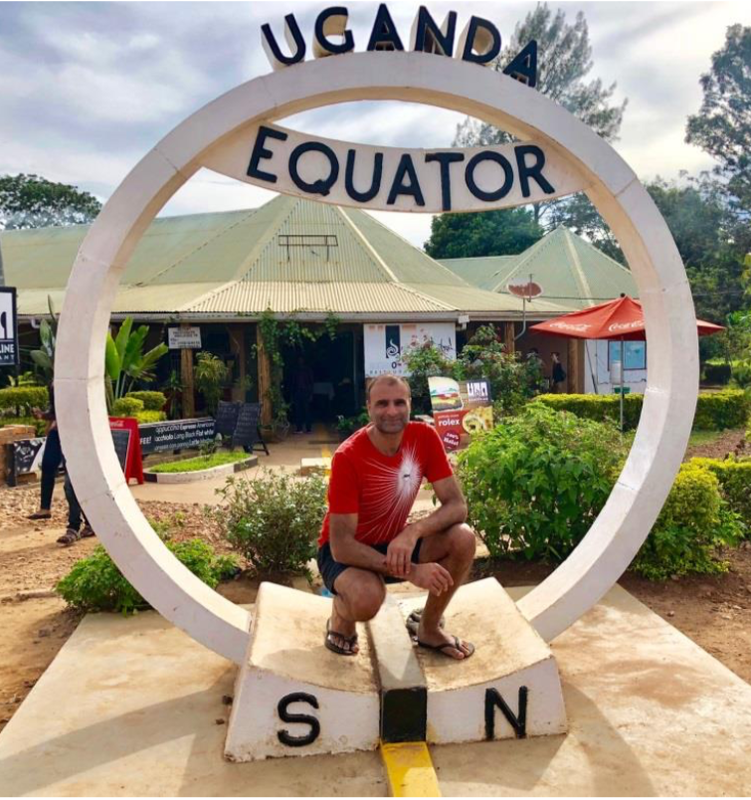 On the way to Masaka, they stop off at the Equator – a popular photography spot! 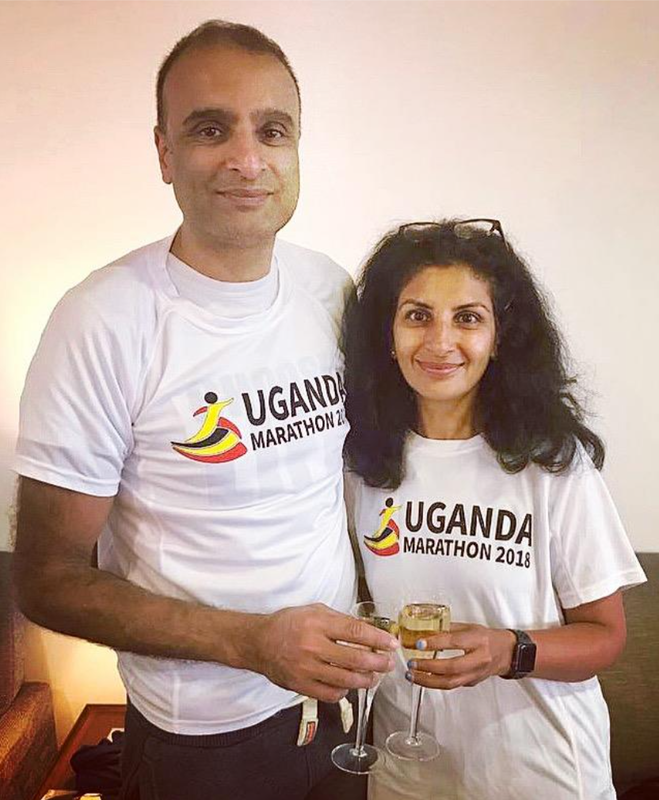 We were very excited by the unique opportunities presented by the Uganda Marathon. It is billed as an ‘adventure like no other’ and, wow, did it live up to that! Alongside around 200 international athletes (using that term very loosely!) we arrived in Masaka – a large provincial town in the heart of rural Uganda where the marathon is held – in late May, six days before race day. We stayed at the Athletes’ Village where we got to know our fellow runners on acclimatisation runs during the day, and around the campfire at night (typically over one or two Nile beers). 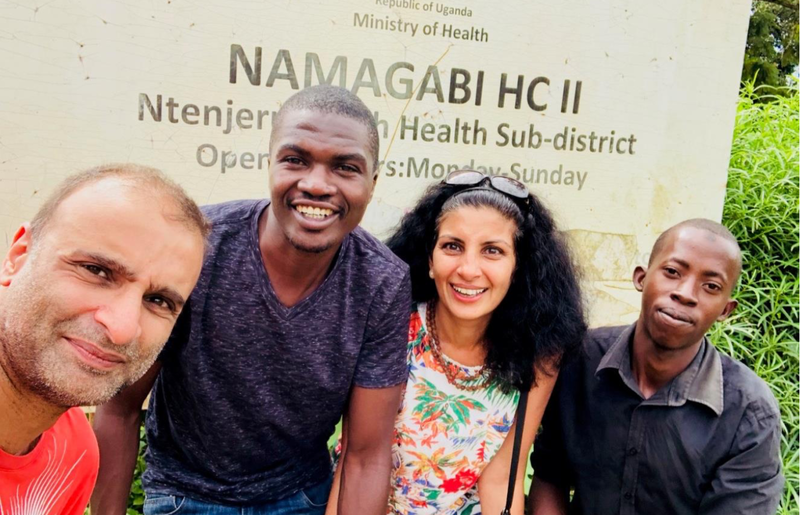 Ash & Sej visited Ddembe House, a support centre for street children in Masaka, which they found a very emotional morning, with both tears and laughter. Over the next six days, we visited the various projects being supported by the marathon. First, we went to Ddembe Home, a support centre for street children, learning a huge amount about the hardships faced by youngsters in Masaka. Another day, our somewhat dubious carpentry skills were put to good use as we supported a local environmental action group by constructing plastic waste disposal units. A further visit included helping to plant a community fruit and vegetable garden. 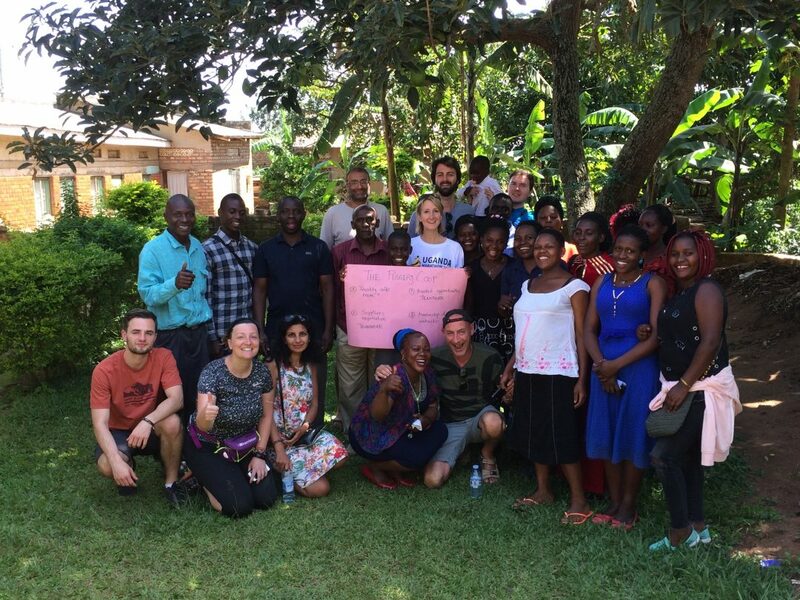 It was fantastic to be so involved with the wider community in Masaka. 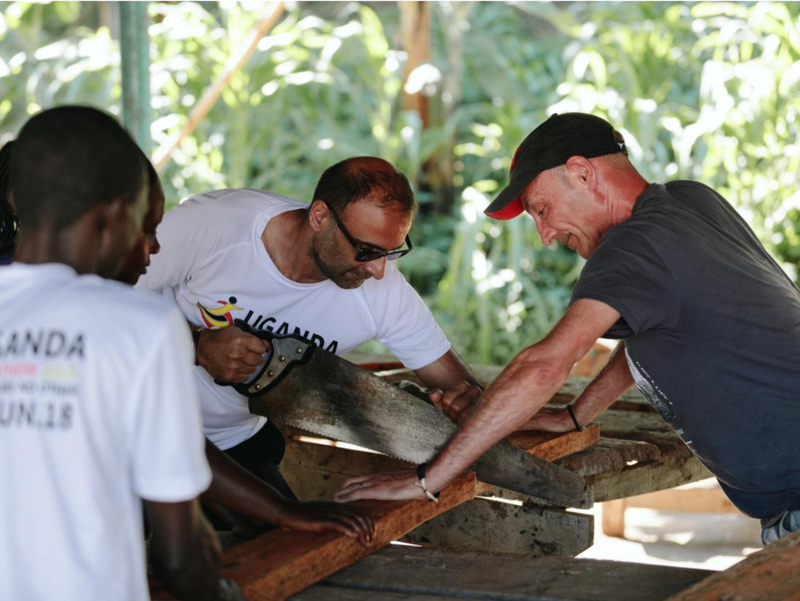 International Runners put their skills to the test, helping to tackle the problem of plastic in Uganda, through upcycling. We had chosen to fundraise specifically for Youth With A Vision (YWAV), a local charity which seeks to lift disadvantaged and vulnerable youngsters out of poverty by enabling them to obtain an education, gain employment, and even start their own businesses through a microfinance scheme. We spent one of our pre-race days with YWAV, meeting its founder, the truly remarkable John Mugabi, and mentoring a number of the inspirational young entrepreneurs being supported by the charity. Two of our mentees were Fred and Moses, a couple of eighteen-year-olds who had set up a brick-making business with a US$200 loan from YWAV. They had been so successful that not only had they repaid the loan, they were using their profits to fund themselves through university. Returning to YWAV because they wanted to expand their business, we spent a few hours with them helping to develop their business and marketing plans. The Ngeye Clan pose for a photograph with the entrepreneurs from YWAV, after a day of helping the young people to develop their business plans. As race day loomed, the nervous excitement of the runners became more and more palpable, although we felt quietly confident of success given the amount of training we had done for it. 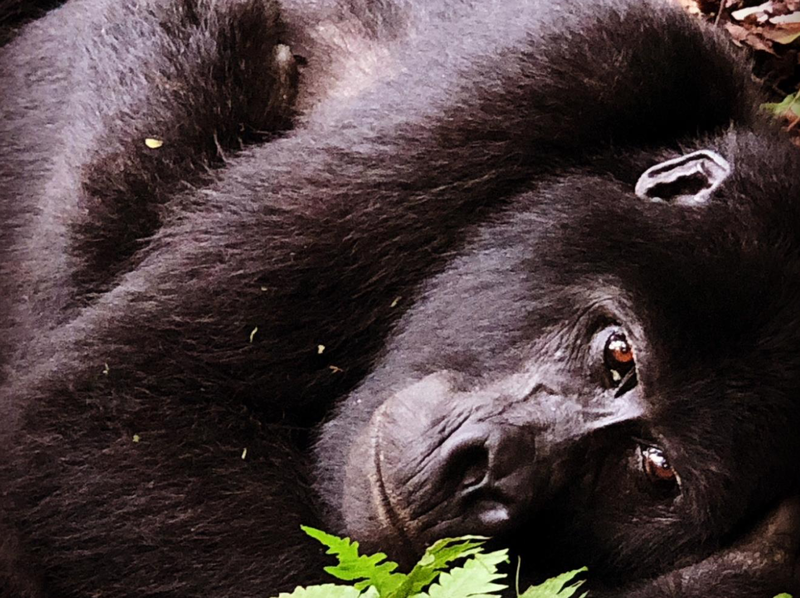 Starting on a cold, dark January day in London, five-days-a-week, for five months whatever the weather, we had stuck rigidly to our training regime – conscious of the fact that we were expecting a highly challenging run in Uganda. The countdown is on! The day before the race, at the pool & pasta party, Ash & Sej receive their race numbers. The course was two laps of the same circuit and proved to be relentlessly unforgiving. Largely made up of dirt tracks, with a temperature of around 30C, 80% humidity and at an altitude of about 1,200m, it required us to be at our best physically if we were to have any hope of completing it – let alone enjoying it. In fact, it was only once we had started the run that we appreciated quite how hilly the course was – the elevation changed by more than 1,000m over the 26.2 miles. The most brutal of the many hills we encountered was called ‘The Beast’ and we still recall our mixed emotions as we summited it on the first lap! Needless to say, the second ascent of it shall live long in the collective memories of all those who hobbled and waddled up it! 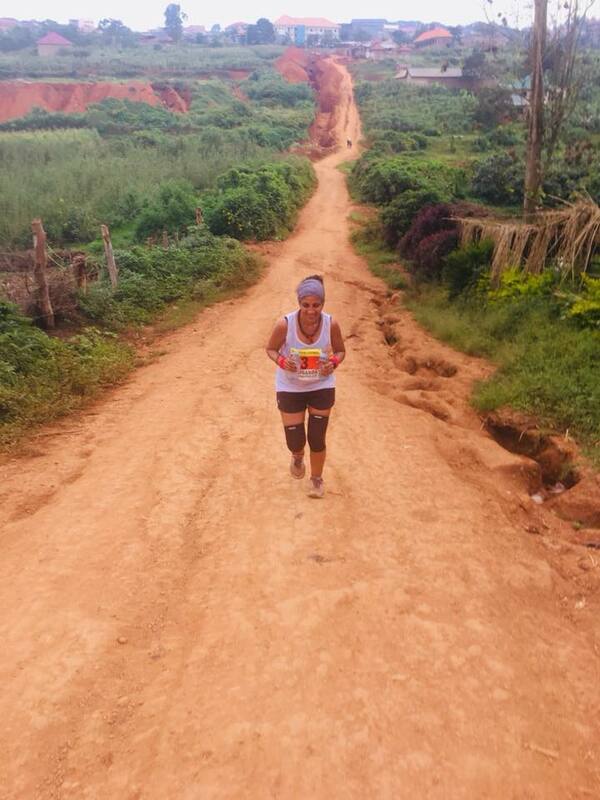 At 18 miles, the crowds from Bugabira Primary School keep Ash and Sej going! Despite the arduous nature of the course, there is no doubt that our steadfast training paid off since, despite the difficulties, we ultimately found ourselves enjoying the race. We ran the length of it together, and were periodically accompanied by large numbers of enthusiastic local children (who would more often than not be running barefoot). 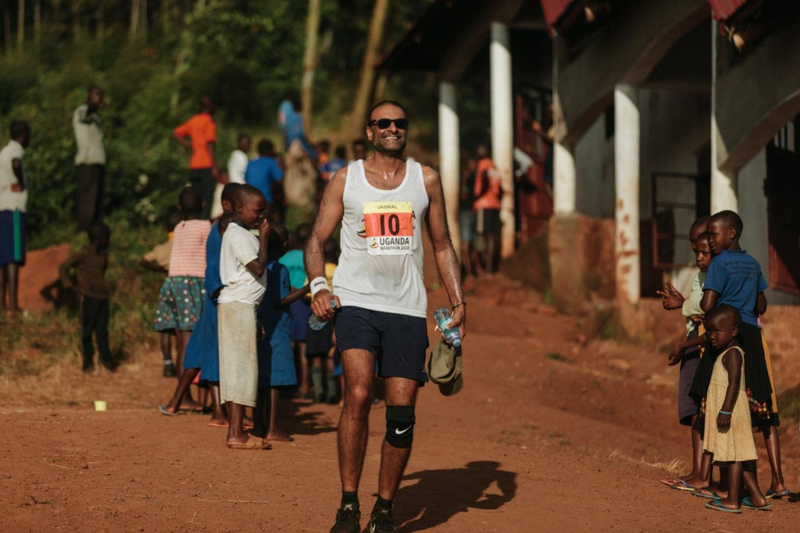 When the local children were not entertaining us with their big smiles, their running prowess or their (friendly) chants of “Mzungu” (‘foreigner’ in Swahili), we fed off the energy of the big crowds lining the streets of the villages through which we passed. The Uganda Marathon is a major event in both Uganda and East Africa, and at times it certainly felt like all of Masaka had come out to support the 3,000 or so runners taking part (the vast majority of marathon participants were locals). The organisers had warned us beforehand that it was unlikely that the course would offer the opportunity to achieve a personal best (except for those like Ash who had never done a marathon before!) but that the crowds, the scenery and the experience of visiting our projects beforehand would more than make up for that. A small number of runners (including both of us) actually got lost on the second lap and ended up running an extra mile. We can now take pride in the fact that technically we ran an ultra-marathon! That said, we were both very relieved when the finishing line finally came into view around five-and-a-half hours after we had set off. We say, “around five-and-a- half” because the organisers did not provide official finish times. They had explained to us at the outset that the run itself was only really of secondary importance to the wider experience offered to participants. 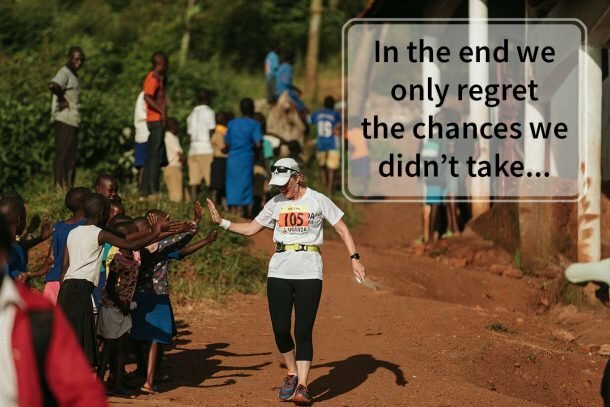 The Uganda Marathon is not about how quickly you can get around the course, but about the legacy you leave in Masaka. 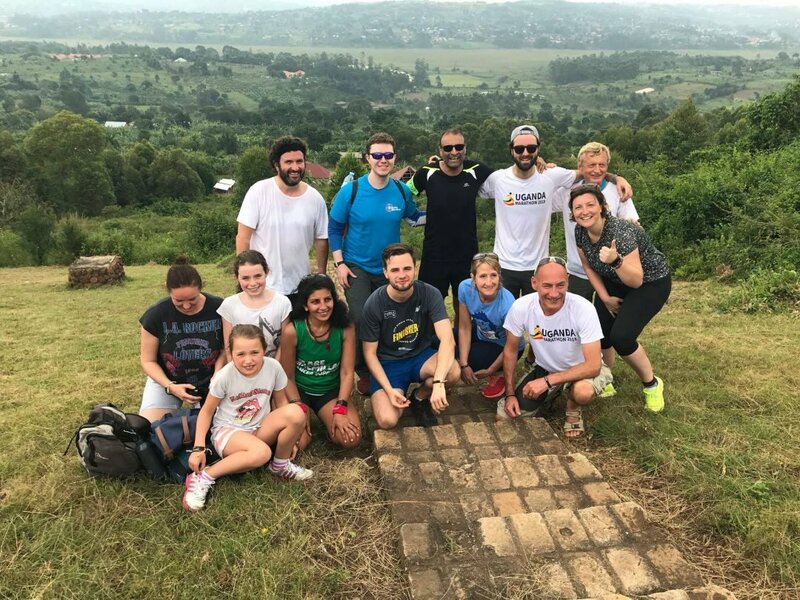 Not only did we form new relationships (some of which will last a lifetime) in a beautiful part of the world, we got to meet the beneficiaries of our fundraising efforts, and had the opportunity to directly impact local communities being supported by the Uganda Marathon. It was a truly remarkable experience, one which has left a deep and lasting impression on us. The Home Straight! 50 meters to go with smiles on their faces! After the race was over, and we had said our goodbyes to our new friends, we embarked on a tour of the country which included a traditional safari in the Queen Elizabeth National Park (where the famed ‘tree climbing lions’ can be found), tracking mountain gorillas in the Bwindi Impenetrable Forest (which was one of the most remarkable wildlife moments we will ever have) and relaxing in the breath-taking Rwenzori Mountains. We also went off the tourist trail and managed to locate Sejal’s former family home, together with the birthplaces of her parents and siblings! 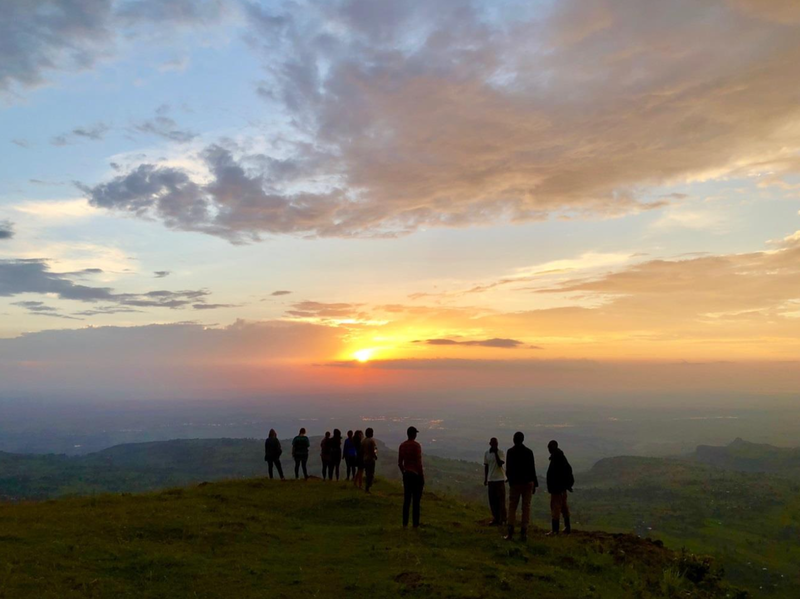 The variety of beautiful experiences on offer in Uganda made us understand why they call it the ‘Pearl of Africa’ and we hope to return one day to see how the community in Masaka, and the Uganda Marathon, have developed. Since coming back, we have continued to assist the community by organising shipments of much-needed scholastic materials (pens, pencils, notepads etc.) and children’s shoes. A big thank you to David Siciliano and the Aberdeen Standard Investments’ facilities team for their invaluable help with this.